This cutie is made with matte delica beads that are blue and pink. Finished with a pink lobster claw clasp it is approximately 6 inches long. 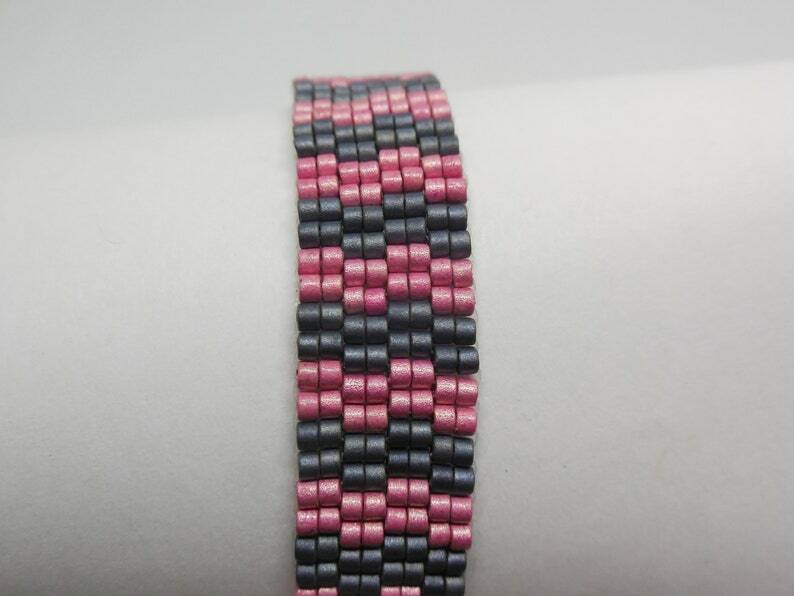 Made using the 2 drop Peyote stitch.